barbers2u is the only mobilebarbershop in the uk offering wedding packages for the groom and all the males involved in the big day. We can come to any location of your choice either before the wedding or on the day itself. For aslong as I can remember the bride and bridesmaids have had mobile hairdressers and make up artists pampering them in the build up to the wedding. Now its time for todays modern man to have a bit of luxury given to them. 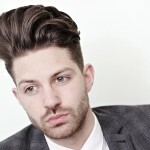 At barbers2u we offer classic/modern haircuts tailored to your individual style and needs. [and to keep you in the good books with the missus]. Each client will have a 1 on 1 consultation to discuss how they wear there hair and also we can use of own brand of waxes to match the style required. We also offer luxury hot towel shaves performed by our vastly experienced barbers to ensure your face is as smooth as possible and free from nicks and cuts. We only use bluebeards shaving products which are made from 100% natural ingredients ensuring that there will be no redness or inflamation normally assocatted with typical foams. bluebeards have been voted FHMs grooming products of the year for the past 2 years and it really is the best on the market. The shave begins with a facial massage using a pre shave oil to soften the skin and allow for a smoother shave. A hot towel is then applied to the face which opens up the facial pores and allows for a much closer shave. A shaving cream is then applied with a badger hair brush to lift each hair up and again allows for a much closer shave. Using a straight edge razor we first shave with the grain of the hair and if required a second shave is performed to allow for an amazingly close shave. To finish up we apply post shave balm to soften the skin further and then a cold towel is applied to the face to close the pores and prevent any redness. Finally our highly trained masseur will massage your scalp to leave you feeling on cloud 9. 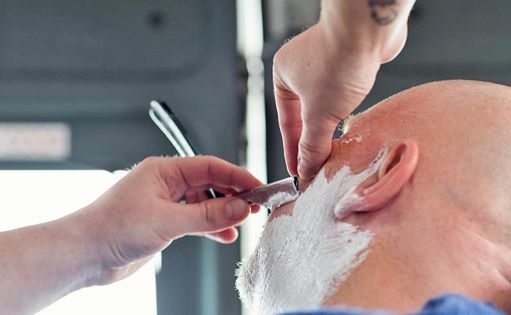 ⦁	Apart from being the only mobile salon in the uk to offer this unique opportunity, our mobile barbershop guarantees there will be no queuing in a normal high street salon. We can come to your home,wedding venue,hotel,golf course…..and the barbershop is completely yours meaning there will be no worries about time. Complimentary beverages are provided aswell as the use of our onboard xbox 360. [guaranteed to keep the little ones occupied]. ⦁	Many of our customers choose us as they are getting married in a different area to the one they live in and don’t have the time to vet every barbershop in that area. With us you can check our online portfolio. ⦁	With everyone gathering in one place to be pampered[in a MANLY way] having the mobile salon makes for some very interesting and unique photo opportunities. 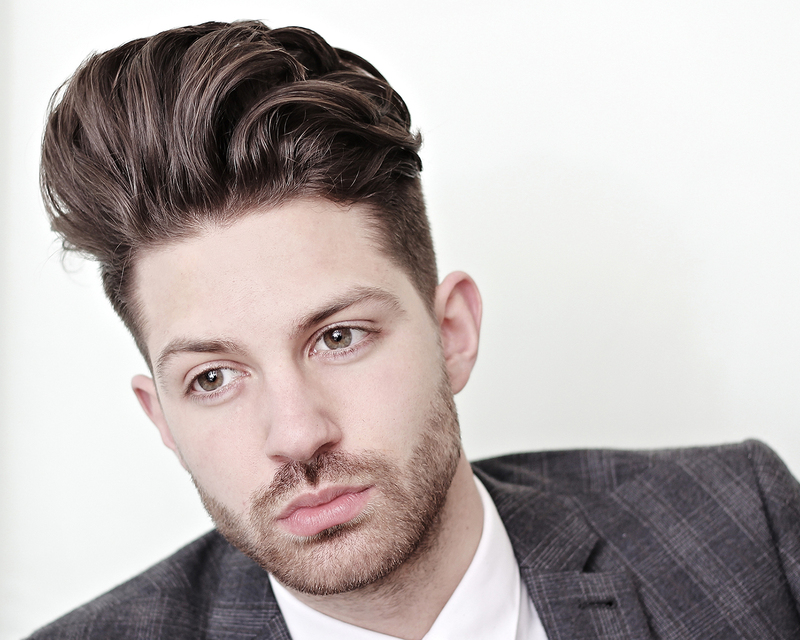 ⦁	With many high street salons offering groom packages from £89 we feel our pricing is very competitive. With a basic silver package starting from £20pp up to £40pp for our luxury platinum package, we feel it is a small price to pay to look good on one of the biggest days in your life. alternatively you can contact us about hiring the barbershop on an hourly basis. ⦁	We are based in tunbridge wells kent but being mobile we can cover most areas. So why not give us a try and make your big day start in a nice relaxing way…..